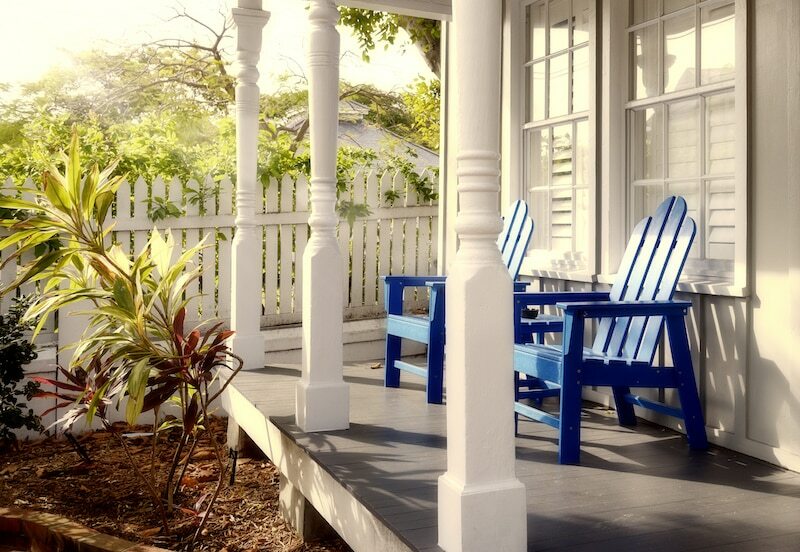 Verandahs have been an iconic part of Australian life for generations, and for good reason. They offer any property a beautiful and relaxing outdoor area that’s as relaxing as it is elegant. A new verandah makes entertaining a pleasure and gives you the perfect setting to sit back and enjoy the seasons in good old fashioned style. Everlast’s decking and landscaping experts can walk you through every step of the design process, ensuring the vision for your new outdoor entertaining area is brought to life. Modern or traditional, tall or small, we can recommend the best styles, materials and colours for an exceptional finish. Once you’re happy with your new design, Everlast can build and install it all for you. Our range of steel, timber and aluminium will offer long-term protection and ensure your house veranda is built to enjoy for more generations to come. Our products are manufactured at our own factory in Hoppers Crossing so we can stand by the quality 100%. Because there is no reseller and we use our own Australian materials, we can offer the lowest building costs with superior workmanship. So whether it’s the perfect entertainment area you’re after, a stylish place to enjoy the outdoors or a boost to the value of your property, look no further than Everlast Services. Why Choose Everlast for Your Verandah? Everlast has been building top-notch Australian pergolas, patios, decks and verandahs for over 20 years. We know exactly what looks best in every yard and can help you create your dream solution within your budget. We manufacture many of our own products at our own factory in Hoppers Crossing, Melbourne. This means our materials are all built to strict quality specifications and allows us to offer them to you at a better price. Everlast services employer highly qualified landscapers and tradesmen. All of our friendly and expert staff provide customers with the best service and workmanship in the industry, without exception. We can help you with more than your verandah. Everlast Services are experts in concreting, decking, fencing and more, offering you a one-stop-shop for all of your outdoor project needs.